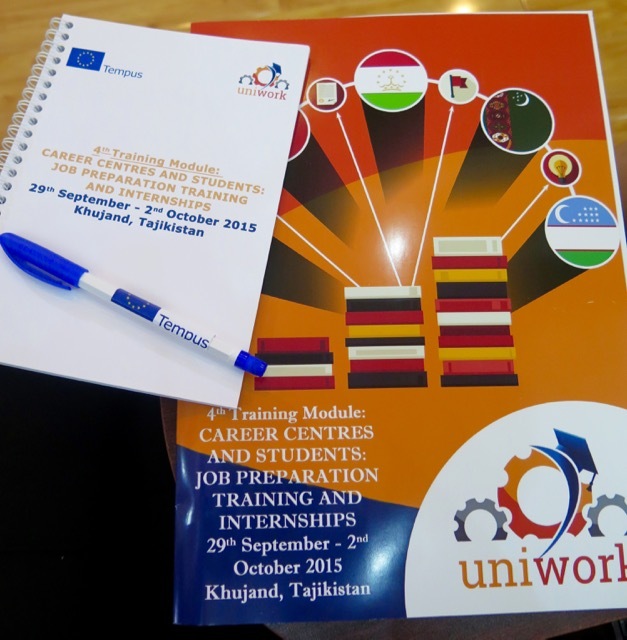 UNIWORK’s 4th and final Training Module ,“Career Centres and Students: Job Preparation Training & Internships”, took place from September 29th to October 2nd Khujand, Tajikistan. The event was hosted by Khujand Polytechnical Institute of Tajik Technical University (KPITTU), with trainers Sara Pates from the University of Sheffield Enterprise (United Kingdom), Victor Climent and Cristina Beans from University of Alicante (Spain) and Birgit Burböck and Rene Wenzel from FH Joanneum (Austria), and participants from all the UNIWORK partner Career Centres. “Career Centres and Students: Job Preparation Training & Internships”, the 4th UNIWORK Training Module for staff from Central Asian HEI Career Centres, will take place from September 29th to October 2nd in Khujand, Tajikistan. Representatives from Career Centres from Higher Education Institutions (HEIs) in Kazakhstan have come together in Spring 2015 to create an “Association of Career Centres of Kazakhstan and CIS HEIs”. Last May 26th representatives from HEI Career Centres in Kazakhstan met at New Economic University named after T. Ryskulov in Almaty in order to present the new “Association of Career Centres of Kazakhstan and CIS HEIs”. The event was hosted by UNIWORK partner Career Centre from New Economic University, led by its Head Nazym Arzimbetova. Among the 50 participants present there were representatives from 30 HEIs (including UNIWORK partners Kokshetau State University named after S. Ualikhanov and Bishkek Academy of Finance and Economics in Kyrgyzstan), the State Centre for Pension Payments, the State Department of Youth Policy, British Council, Career Centre of Warwick University, as well as representatives from the business sector. 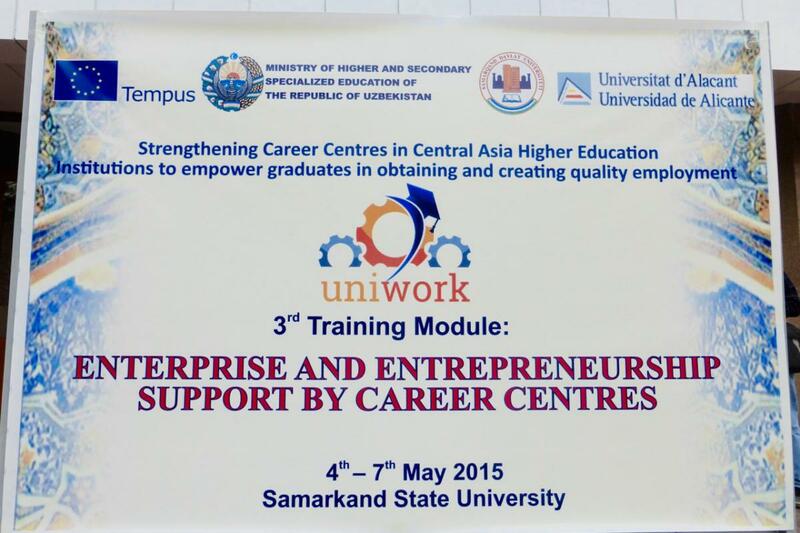 UNIWORK’s 3rd Training Module, “Enterprise and Entrepreneurship Support by Career Centres”, took place from May 4th to May 6th in Samarkand, Uzbekistan. The event was hosted by Samarkand State University, with trainers from the University of Sheffield (United Kingdom), University of Alicante (Spain) and FH Joanneum (Austria), and participants from all the UNIWORK partner Career Centres. 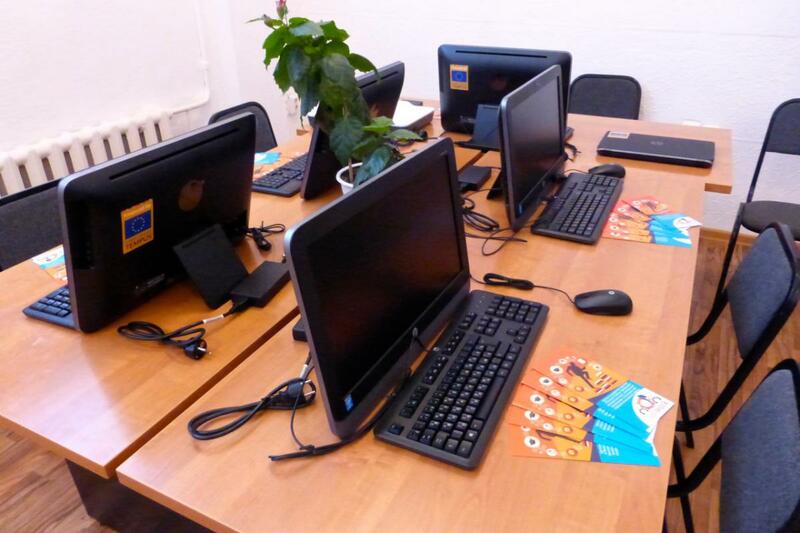 On March 17th, 2015, in the framework of TEMPUS project UNIWORK, the rebranded Career Centre at Sh. Ualikhanov Kokshetau State University (Kokshetau, Kazakhstan) was officially inaugurated by the Rector of the university, in the presence of university staff, members of the UNIWORK partner universities from Central Asia and the EU, and local media. 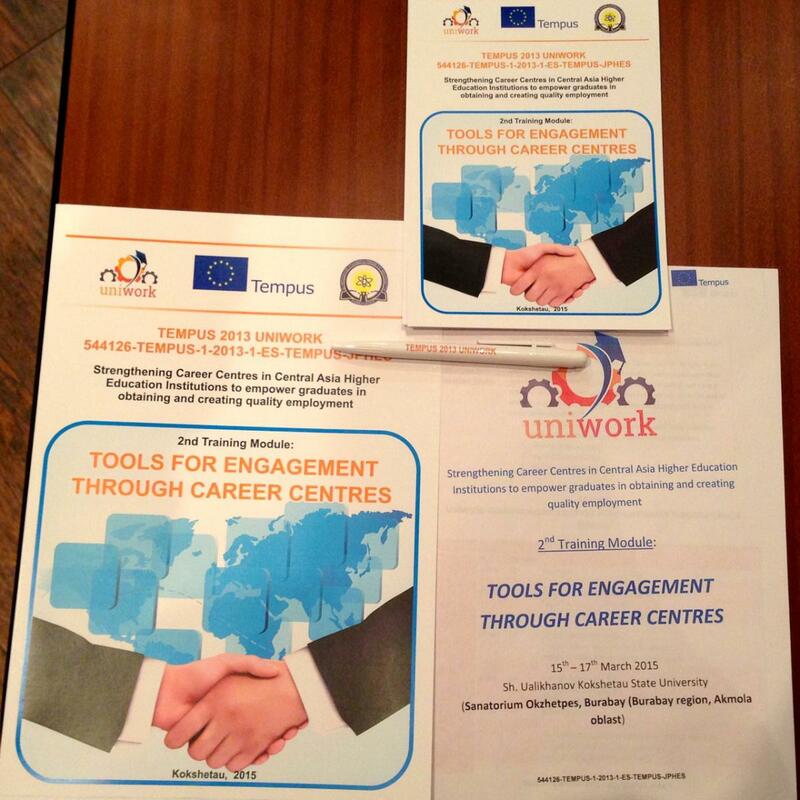 UNIWORK’s 2nd Training Module - “Tools for Engagement through Career Centres” – was hosted by Sh. Ualikhanov Kokshetau State University and took place from March 15th to 17th in the Burabay region of Kazakhstan. In total there were 21 participants present: trainers from the EU partners, and staff from the HEI partner Career Centres in Kazakhstan, Kyrgyzstan, Tajikistan and Uzbekistan.